Life with a chronic illness is challenging not just for the one who is ill, but for the family who lives with, and cares for, the ill family member. They have to make many adjustments and sacrifices for the one who is ill. The family may need to adjust to a schedule that moves at a much slower pace and includes a lot of rest time. They may need to adjust to eating different meals at home due to food restrictions. They may need to sacrifice some fun and free time in order to help their family member who is ill. Depending on the level of disability caused by the chronic illness, family members may spend significant time filling the role of caregiver. Families affected by chronic illness need the support of friends. When a spouse is chronically ill, the healthy spouse can become burned out and overwhelmed with the numerous tasks that fall on his shoulders. Lending a hand to alleviate some of the workload will be appreciated. Providing occasional respite from the tasks of caring for an ill spouse may also be appreciated. If there are children in the family, they also need support and encouragement. They notice that their family is different, and they notice that they miss out on things because of chronic illness in the family. You can reach out to the children in the family with a listening ear, a hug, or by inviting them over to your house to play. You can help to support the family by praying for them, giving encouragement, spending time with them, and offering practical help. Here are some specific ideas for ways to support the family affected by chronic illness. These ideas are specifically for a family in which a parent has a chronic illness, but many of them are also applicable to other family situations. Send a card to the family to let them know that they are in your thoughts and prayers. Pray that their family would be strengthened and that they would grow close to one another through the hard times. Pray especially for the marriage affected by chronic illness. Pray that they would cling to the Lord and to each other and not drift apart when life gets hard. Pray that God will provide for their needs. Invite their children over to play with your children. Depending on an ill parent’s limitations and needs, their children might not be able to invite friends over very often. They will be excited for the opportunity to go to someone’s house to play with other children, and it may also give your friend a chance to get some much needed rest. If your children are the same age and interested in the same activities, you could offer to take your friend’s child to lessons/practice along with your own child. Without help with transportation, the child in a family affected by chronic illness may not be able to participate in things like school sports, piano lessons, or ballet class. Take the children to the park for a picnic and play time. Take pictures to share with the chronically ill parent at home. Help the chronically ill parent do something fun with her children that she otherwise might not be able to do. This could be a picnic in the backyard, a craft, or decorating cookies. The cookie decorating idea comes from my mom. This is something she has done for us a few times. Last year when my parents came to visit for Christmas, my mom packed homemade gingerbread men, frosting, and candy in her suitcase. William and Adelaide so much fun decorating their own gingerbread men. Invite the family over to your home for a meal. This will give the parents a break from cooking, and it will provide a time of fun and fellowship for the whole family. The children will enjoy going to a new house and playing with new toys. While the children play, you can talk with the parents, see how they are doing, encourage them, and pray for them. Give a couple the gift of a date night. If the chronically ill spouse is homebound, you can offer to give them a date night at home. Take the children to your house for the evening and let the couple have a few hours to themselves for a date. Offer to watch their children for a weekend so that the couple can get away and spend quality time focusing on each other and their marriage. Give extra help and support when the healthy spouse gets sick. In many families when a spouse gets sick, there is another spouse who can pick up the slack and keep the household running smoothly. But when one spouse has a chronic illness, life becomes incredibly hard when the healthy spouse gets sick. The flu or a stomach virus can render the healthy spouse unable to keep up with their normal daily tasks. Stepping in temporarily to help out with meals, cleaning, errands, or transportation will be a huge help. Not every family situation with chronic illness is similar to mine. There are many different types of families affected by chronic illness. There are couples without children who are affected by chronic illness. There are couples in which both spouses have a chronic illness. There are single adults who live with their parents because they cannot work or live on their own. There are single adults who can live on their own as long as they have a lot of help from family and friends. There are children and teenagers with chronic illness. There are grandparents with chronic illness. There are single parents who have a chronic illness. The needs of each of these families will vary. Does your family need help caring for children? Do your mom or dad need help caring for you? Is there a household task that is too difficult for you and your spouse? Does anyone in your family need help with transportation? 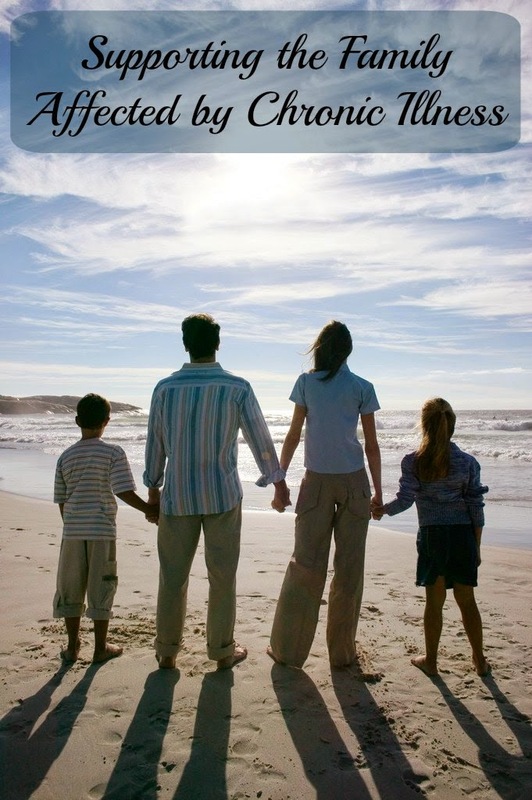 What burdens your family the most right now? What is the most challenging task for you? 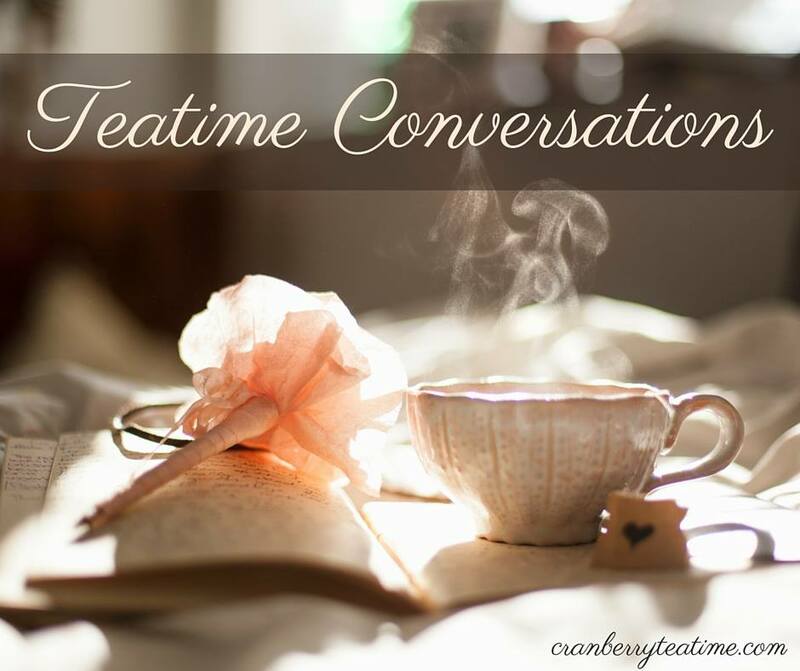 What is the most challenging task for your primary caregiver? If you could have 5 hours of help each week in your home, what would you want help with? What prayer requests does your family have? If you have a chronic illness, I would really like to hear what you have to say on the subject of supporting the family affected by chronic illness. What is your family situation like? How can friends support you and your family? Image from Elk City Oklahoma. Adapted by Rachel Lundy. 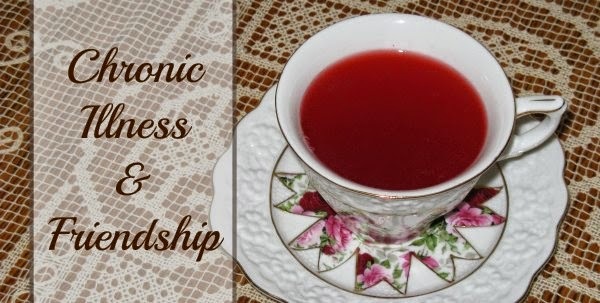 This post is part of the Chronic Illness and Friendship series. Just been praying and laying in bed with adrenaline over load... I took the needs of us dsyatunomic folks before God and told him on the rough days, by the end of the day, it would be so nice to feel the spiritual presence of being held in the arms of Jesus to comfort us, when weakness causes us o be isolated from friends and family activities. I guess God is just showing me the great need in all of us who follow him to be generous in compassion, kindness love and mercy... When your dealing with chronic illness in your body or your family, I have learned that the need for all 4 goes up... It is a hard to go thru ups and downs and keep our ability to be compassionate and the rest. Hi Corrine, I'm sorry that you were stuck in bed with an adrenaline overload. That is miserable! Thank you for praying for all of us with dysautonomia, and thank you for your prayers for me. I appreciate it very much.